God bless Deerhoof for never growing tired of being Deerhoof. 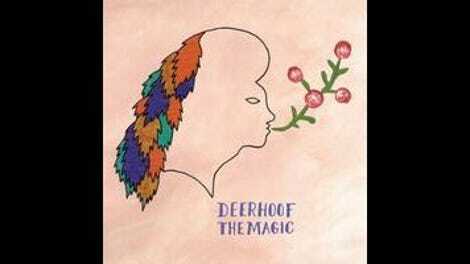 In the time it takes most two-decade-old bands to make a record, Deerhoof makes three. Shattered kick drums litter the San Francisco band’s trajectory. Deerhoof makes music recklessly and wildly, but with great skill and a premium on sweetness. The result is a more spastic affair than 2014’s La Isla Bonita. The signature guitar tone here is a leathery, overdriven growl, and the record’s hidden weapon is an emphasis on groove. (Weirdly, The Magic is a much funkier LP than the one the Red Hot Chili Peppers put out last week.) Check “Model Behavior,” a demented James Brown homage that stakes its place as the funkiest Deerhoof song since 2007’s “Believe E.S.P.” Apparently inspired by Bernie Sanders (“A system / A victim / A candidate,” goes a refrain), the song builds to a synth solo that sounds like a Pac-Man game hollowing out your skull. “Debut,” with its clanging, two-guitar attack, packs a similar groove. Writer Choire Sicha once remarked that people should write books the way Woody Allen makes movies—“put out a little book every year and [don’t] spend too much time on it.” This seems to be how Deerhoof makes records, with maximum glee and minimal overthinking. Occasional dud aside (see 2011’s tepid Deerhoof Vs. Evil), the approach brings a measure of exhilaration that great live acts rarely harness on disc. 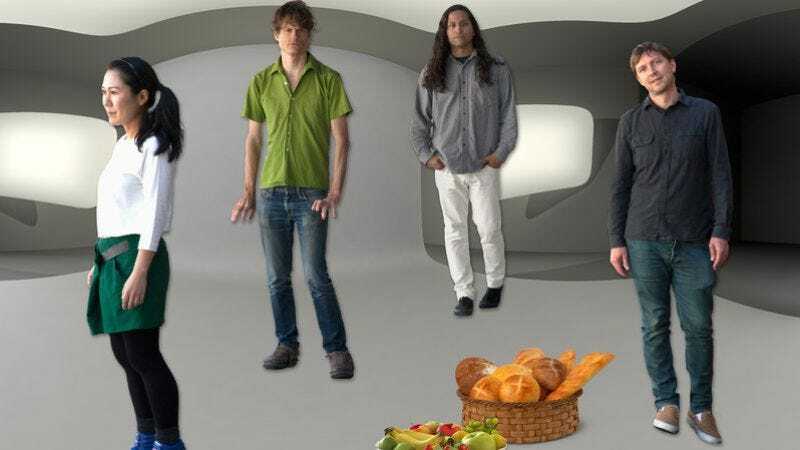 Deerhoof seems to live in perpetual wonder of this gift: On “Criminals Of The Dream,” Matsuzaki repeatedly wonders “where the magic hides.” The answer is a sonic question mark, an ascending synth squiggle carrying the song onward.